Pajamas are one of those stables in a wardrobe that I feel like I could never have enough of. I used to have the most wretched pajamas. It was pitiful. Everything mismatched. Quite sad, to be honest. Now, that I've realized how much I love matching sets, and ones that are made with quality in mind, I'm in love with pjs! I reached out to PJ Harlow to because when I came across their selection, I couldn't believe how wonderful they looked. Now, the hard part was, letting my daughter review them, instead of getting them for myself. I can't be jealous of my daughter, though, right? lol She's way cuter in photos than me anyhow! First of all, let me give a shout out to PJ Harlow for being Made in the USA! This is such a big thing for me! You pay more, but you support industry here in our country, and it makes me feel SO good about what we're purchasing. 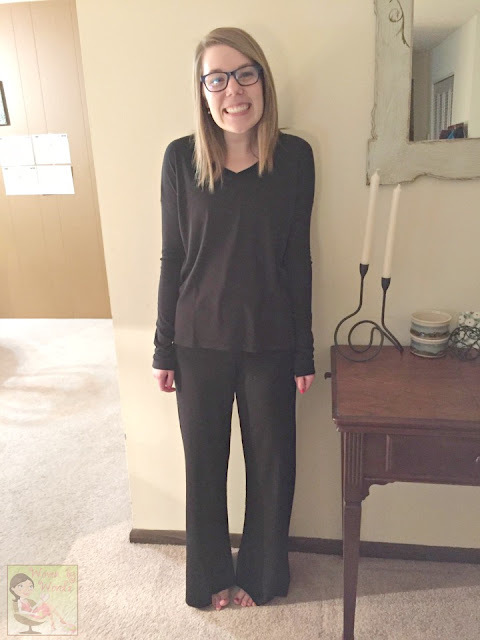 Brieanne was sent the Mona Elastic Waist Knit Pant and Lucy Oversized Rib Sweatshirt to try out. Ok, I'm secretly jealous. 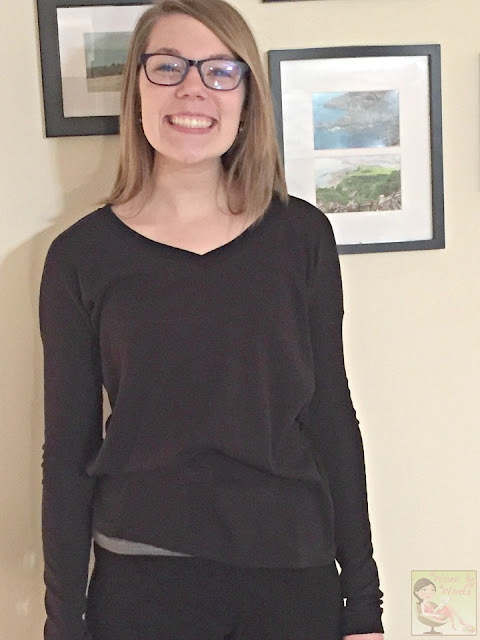 She's an XS in pretty much everything, so the color that was available was the black. Not an easy shade to take a photo of. Sorry that you can't see the details of the ones she actually got, so I'm going to show them to you from the site first. We like to do modest with our clothing, even our pajamas, and the Lucy/Mona combo gave us exactly that. 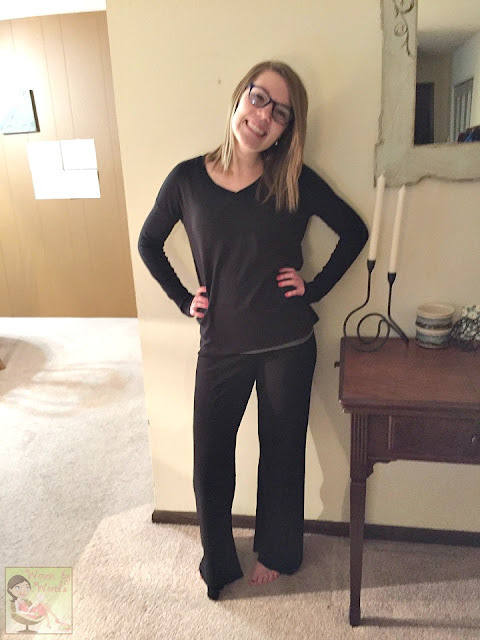 When I talked with Brieanne this morning, she said they are "so comfy and soft!" Exactly the way I like my pajamas. I know it's going into warmer weather, and they have the Mikel, which is a satin drawstring short, as well as the Jolie which are satin capris. Here's my girl in the set she was sent. She cracks me up always doing her trademark thumbs up! I just had to throw it in here. One of the things that I love are the sleeves. I've got long arms, but she doesn't. I don't think she minds because of those thumbs up. Finding long enough sleeves is pretty much the bane of my existence when it comes to tops! This Lucy top, I'm loving every part of it. See the scrunch by her wrists? Doesn't it make your heart go pitter patter? If you have long arms, you get me. The pants fit her perfectly. These Mona pants have an elastic waist. I also love the Jordan with the fold over top. I think those are the adorable. I'm also a gal who has a long inseam. These would be a touch short for me, but since they're pajamas, and I'm only at home in them, that would totally be ok. I'm one of those people who likes her bottoms skimming the ground. I think it stems from all of the high waters I had to wear growing up. lol First world problems, eh? 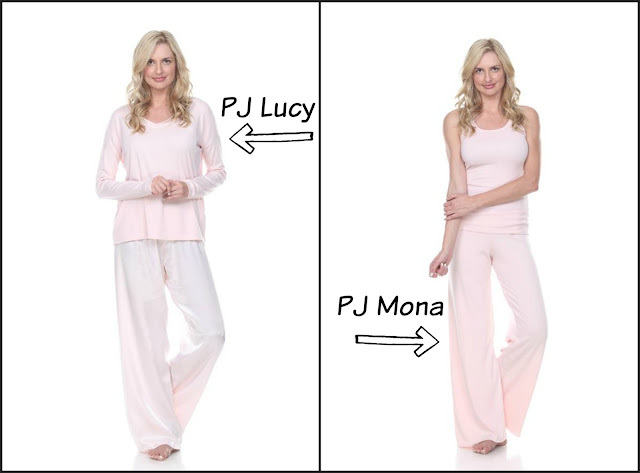 I love that PJ Harlow describes their loungewear as "buttery soft knits." Who wouldn't want those to sleep in or hang around the house in? Have I mentioned I'm jealous of my daughter? lol I've decided that the first set I want to get is the Norah & Jordan! They'd be in Morning Blue. Guess what's also fabulous about these pajamas? I'll be giving away a pair tomorrow! Be sure to get a jump on it by following PJ Harlow on their social channel of Instagram. What is your favorite thing to lounge around in? I also have long arms and legs. I have such a problem finding clothing that fits! 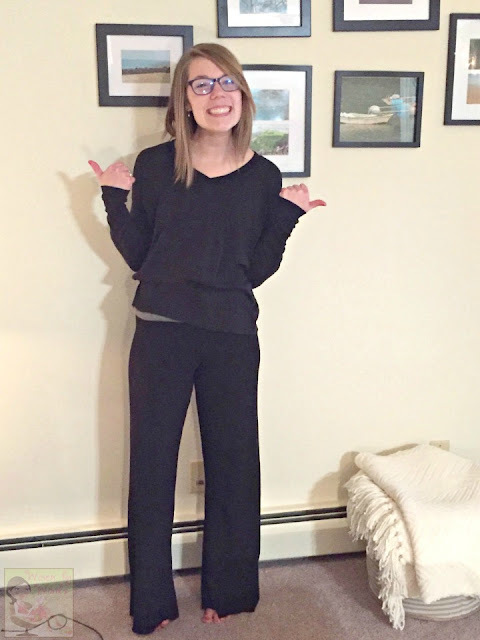 I love the stylish and really comfortable pajamas that you are wearing. They do not look like pajamas and can be worn at home. I would so wear a pair of these pajamas! These pjs do look very comfy. I need warm and comfortable sleep wear. It does help me sleep better, softness counts too! These look so soft and comfy. I love to lounge around in a great set of pajamas. I do love a pair of comfortable pajamas. I think it's great that by purchasing these, we will be supporting industry here in our country. Thanks for the great information. I like the Lucy / Mona combo too. I like pjs that I can feel comfortable lounging in the evening in. They look very comfortable. I would like to have a pair of these nice pj's. Their pajamas look so comfy & cute! I love how feminine-looking they all are! I can't wait to get a pair! These look absolutely comfortable, Something I am in need of. 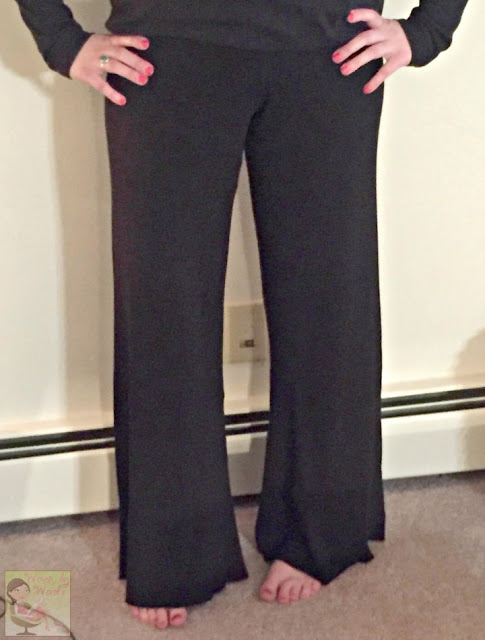 I love the style that they carry and knowing that they are easy wear. How cute! The PJs look so comfy! I really like the look of this set. So cute and adorable...rocking those pj's. I like lounging in things like this. I really like that this is Made in USA. The PJ's are knitted very nicely. They are chic, and I give thumbs up on stitching. I love the colors and designs they make this in I know my daughter loved them too.